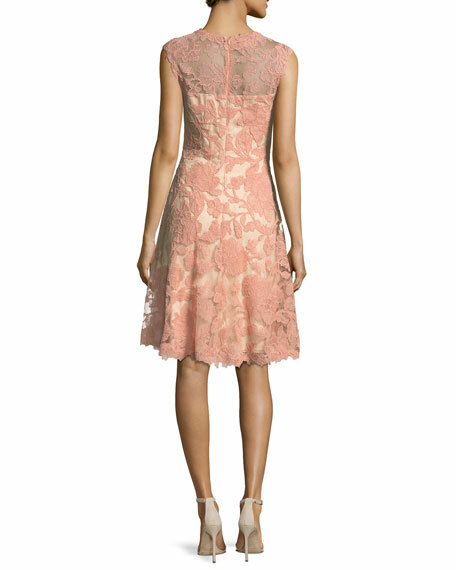 Tadashi Shoji cocktail dress in floral embroidered tulle. 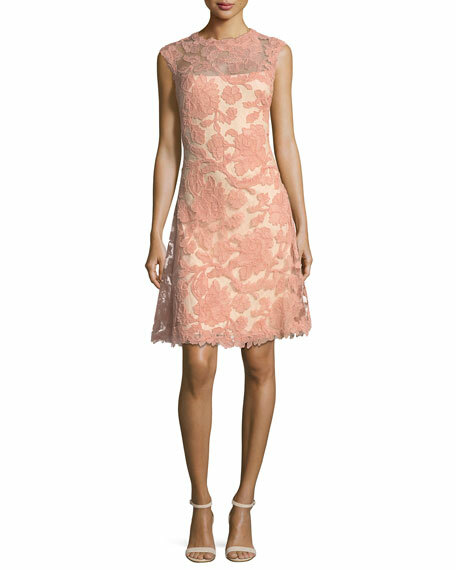 Scalloped jewel neckline with strapless illusion. For in-store inquiries, use sku #1900917.